In order to offer high-quality products to our clients, our company is committed to working with transparency. Since its founding in 1999, Laboratoires BIOTIC Phocea has voluntarily submitted its quality management system to an independent agency for approval. Over the years, we have constantly worked to improve all of the steps in the manufacture of BIOTIC Phocea products. Thanks to this sustained effort, we are proud to hold certifications attesting to our expertise in the fields of cosmetics, micropigmentation and medical devices. The different standards with which all of our products comply are listed below. Constantly increasing customer satisfaction is one of Laboratoires BIOTIC Phocea’s raisons d’être. This premise is one of the 8 essential requirements of the ISO 9001 standard. This international standard ensures that products and services are safe, reliable and good quality. For this reason, and because quality is our daily inspiration, our company is ISO 9001 certified by an independent agency. Similar to ISO 9001, this standard is specific to the manufacture of medical devices. 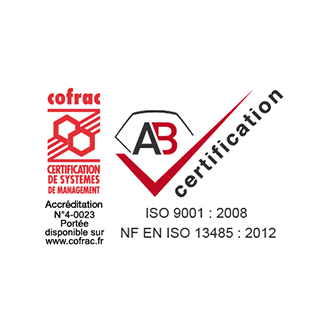 This internationally-recognized certification demonstrates BIOTIC Phocea’s commitment to the quality of its medical equipment and ensures that its quality management system complies with regulations and its clients’ needs. Directive 93/42/EC, amended by Directive 2007/47/EC, defines a medical device (MD), in a simplified manner, as a product intended by the manufacturer to be used for medical purposes. This classification is used to define the criteria determining products’ compliance with the regulatory requirements. 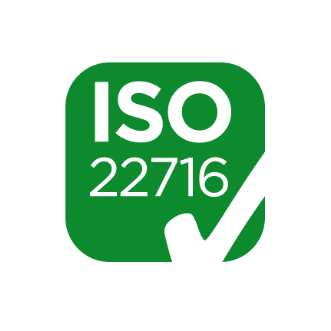 Since July 11, 2013, all cosmetic products on the European market must be manufactured in compliance with the Good Manufacturing Practices stipulated by the ISO 22716 standard. This European certification ensures that our consumers receive high-quality products. From manufacturing to storage, the different inspections demonstrate BIOTIC Phocea’s expertise. Based on very precise specifications, this organic label certifies that BIOTIC Phocea’s products are eco-friendly or organic. These state-approved ethical cosmetics are inspected by strict third-party organizations (Ecocert, Bureau Veritas). 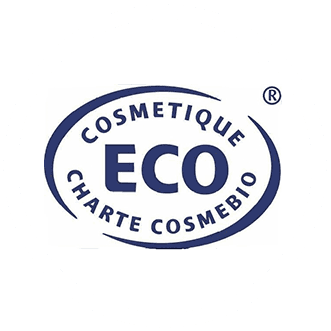 Cosmebio has 2 different labels to define products: the Bio label for “eco-friendly, organic cosmetics”, and the Eco label for “eco-friendly cosmetics”. This label ensures that products are GMO-free, without substances derived from petrochemicals and free of synthetic scents and colours. They also favour sustainable development, fair trade and consumers throughout the lifespan of the product. BIOTIC Phocea’s organic cosmetics contain 98% natural ingredients, with an average of 70% organic ingredients and a high percentage of active substances! An independent organic agriculture certification and inspection organization, Bureau Veritas Certification France assures consumers of a product’s compliance. This label certifies products by considering the percentage of organic plant matter in the total ingredients. 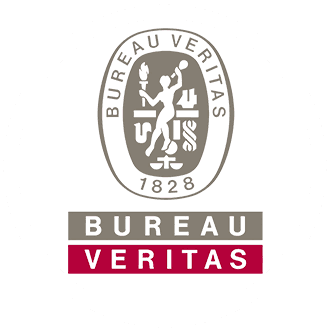 Bureau Veritas Certification France makes available to companies eligible for certification and inspection of organic agriculture products, the Qualité-France collective label, represented by its characteristic logo, which is now recognized by a large proportion of consumers. Cleanliness is BIOTIC Phocea’s calling card for the manufacture of its pigments and cosmetic products. For this purpose, we ensure that our products are manufactured and packaged in “clean rooms”, meaning that the air quality in our production areas is controlled. These controlled-atmosphere rooms are inspected yearly, guaranteeing manufacturing conditions of near-complete purity. The purpose of these production rooms is to minimize the introduction of pollutants (bacteria, dust etc.) into these areas and thereby minimize product contamination during production. Only analysis reports produced by independent organizations using the methods recommended by European Council resolution ResAp (2008)1 demonstrate the compliance of the raw materials used to manufacture these pigment dispersions, commonly known as “permanent makeup pigments”. BIOTIC Phocea chooses to have all of its raw materials analysed and to only use those that are 100% compliant. Whether synthetic or natural, organic or mineral, the raw materials approved by BIOTIC Phocea guarantee that your permanent makeup pigments are safe and fully compliant with current legislation. To view our analysis reports, click on the Colour Index number you wish to view. In addition, Laboratoires BIOTIC Phocea performs skin tolerance and eye irritation tests for maximum safety. We would like to draw your attention to the importance of these tests, particularly the cytotoxicity test which allows us to offer you the purest possible products, particularly for pigments used near the eye.